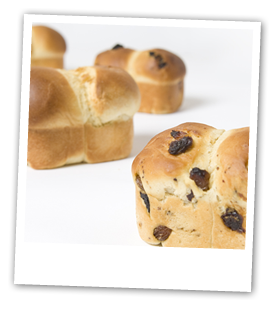 Breads in their miniature form will always spark a conversation when served. The attractiveness of a mini white tin loaf accompanying a soup or ploughman’s lunch undoubtedly adds interest to the meal. Our range includes mini Kentish Huffkins made with regionally sourced stone ground flour and Focaccia bites hand dipped in extra virgin olive oil infused with rosemary.